I popped over to The Paper Players after work tonight and found they have a Clean & Simple Masculine Themed Challenge this week (I actually read it properly & picked up it was CAS the first time around!). I’ve used one of my favourite Stampin’ Up! 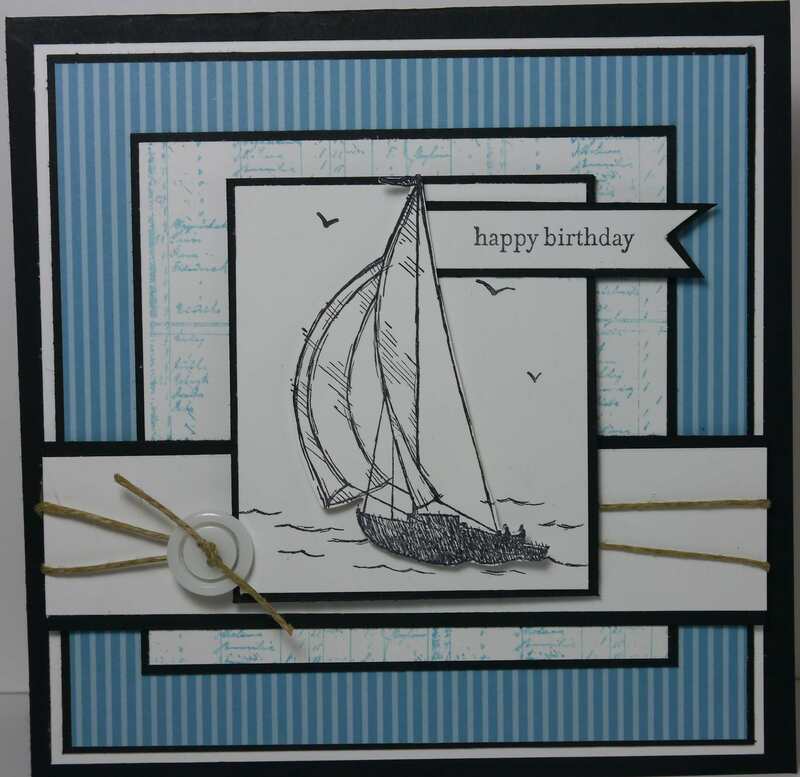 “man stamps” – Sail Away and teamed it with Marina Mist DSP and Basic Black cardstock. Here’s my attempt at CAS. This is a perfect CAS masculine creation!! You cannot go wrong with this image! Thanks for playing with the Paper Players this week! Perfectly masculine and perfectly gorgeous, Narelle! Love the twine with the sailboat…Thank you for joining us at The Paper Players! Awesome card Narelle, love the monochromatic look. Thanks for joining us at the Paper Players. Really nice card! Love the layers, and the the stamped background. A beautiful, CAS masculine card! I love the layers! Thanks for playing with The Paper Players! Fantastic CAS masculine card. Love the papers you used, great LO. I love how you mat every layer with the basic black card stock! Very nicely done!